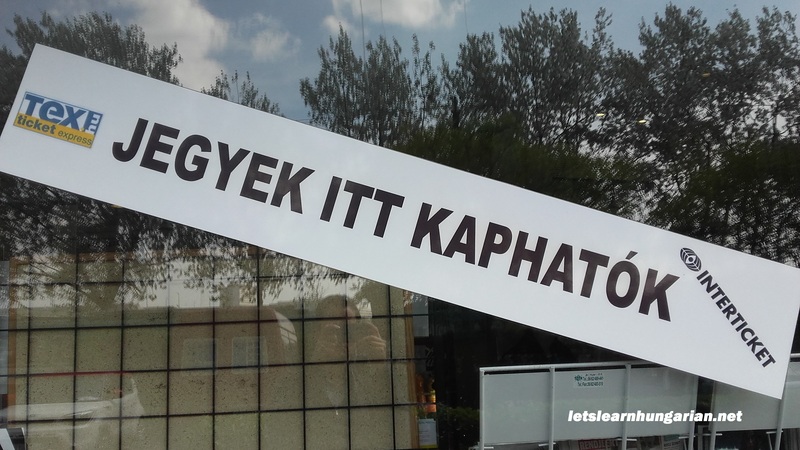 You are here: Home / language learning / Beginning Hungarian – what does this sign say? This sentence is only three words, so it should not have been too hard to understand! Jegy means “ticket,” but since this is plural, jegyek = tickets. Kapható means “available,” but since jegyek is in the plural, we also have to put kapható in the plural! So it becomes kaphatók. What happened to your podcast? I am unable to download it here or from iTunes! ; ( I’ve quite liked what I have gotten to hear though!